Working from Home with Baby? How to Still Get Things Done. Wondering if it’s possible to care for a baby and work from home? 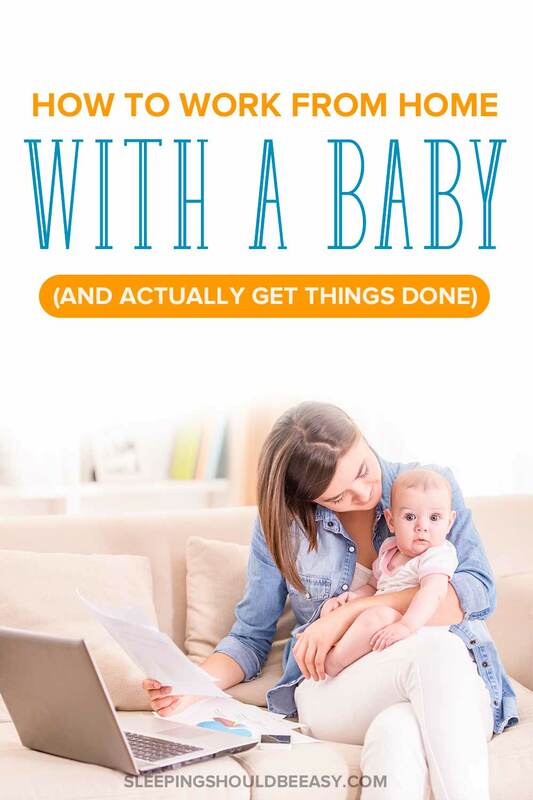 Discover how to balance working from home with baby and still getting the job done. Weeks later, my boss rejected the proposal... and thank goodness he did. Instead, we came up with a flexible, part-time schedule that, in hindsight, suited everyone much better. Many working moms face a similar conundrum when they take maternity leave: stay home or head back to work? As much as I knew I wanted to keep working in some capacity, working the same schedule would take me away from my baby for hours each day. Thankfully, I was able to arrange a new, flexible schedule that still allowed me to work from home two days per week. The thing is, I was working from home without childcare. I tried to balance mom-time with work-time, but it wasn’t easy to concentrate when you hear your baby awake from his nap, crying in the next room. Working from home with a baby was a huge challenge. The benefits of working from home played out well and balanced my needs at the time. I was able to save a ton of money on childcare, make income and earn benefits, and spend time with my baby. I kept up my work habits that I even got a promotion despite my flexible schedule. Working from home with baby? Not all jobs are conducive to working from home. Evaluate whether your daily tasks can actually be done at home. Frequent phone calls, meetings, overseeing employees—these may not always work if you’re not in the office. I had coworkers in the same company whose duties simply wouldn’t allow them the flexible schedule I had. You also need self-discipline and the ability to manage your own workload. Staying focused and on-task is key for work-at-home moms. I’ll even go a step further and say not all kids are conducive for parents to work from home. My eldest happened to have a knack for focusing on activities for long stretches of time. I knew I could show him something interesting, whether books or puzzles or a new toy, and I wouldn’t hear from him for 45 minutes to an hour. Some kids require more attention or are more active. When discussing expectations with your employer, focus on results. You may not be at your desk during the usual 9-to-5, so make sure you’re keeping up with your workload. As a new mom working from home with a baby, you may need to find pockets of time like during naps, early mornings, evenings and weekends. Be as available as possible during business hours, but completing work and meeting deadlines are your main priorities. If you have a project that needs your full concentration, save it for a time when you won’t get interrupted (or are less likely to be pulled away). Treat these periods as though you’re away from home and allow emergency breaks only. This may mean blocking out specific work-time in your schedule when your spouse is home or your parents are visiting to help. You may even need to work early mornings before everyone else is awake, or at night after the baby has gone to bed. Save lighter work for moments when your baby can self-entertain, such as right after feedings. Do you struggle with putting your baby to sleep or wish he could learn to self soothe and sleep on his own? Join my newsletter and discover the 5 mistakes that are keeping your baby from self-soothing! While you’re preparing for your new schedule, practice productivity and time management. Read up on best methods and systems to improve your workflow without sacrificing quality. The One Thing by Gary Keller (affiliate link) is a great guide to maximizing your output. Knowing you have limited time to focus will help you concentrate. Avoid distractions and useless “time wasting” tasks when you find the rare opportunity to work uninterrupted. Stay laser-focused to get as much completed as possible in a short amount of time. 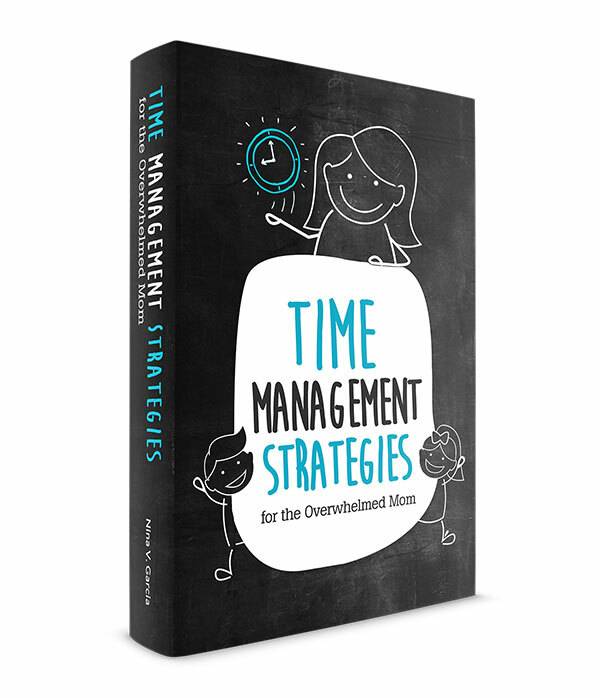 Get more tips on time management for moms that actually work. Meetings are a major time-thief. I was never a fan of meetings even when I worked in the office. We’ve all sat through an hour-long meeting that should have been less than ten minutes. If someone wants to schedule a meeting or even a phone call with you, offer to resolve the issue via email first. If you do need to be in a meeting, use clear, direct communication to keep it efficient. When nothing but an in-person meeting will do, schedule it when you’re in the office, or set aside days to meet with coworkers. Keep your time frame tight to prevent meetings from running over. Even with the best planning and time-blocking skills, you’ll still find yourself needing to work, which means your baby will need to entertain himself. For these moments, stash away a few high-value favorite toys and activities. While the youngest infants aren’t soothed by much outside of mom’s arms, older infants may enjoy a bouncy chair, a swing or a baby gym. Some babies even find a ceiling fan or blinking lights mesmerizing. If your little one has a favorite source of entertainment, save it for the times when you need to focus. Working from home doesn’t mean you’re stuck between your home office and bedroom. With a flexible schedule, you can work in the evenings in order to spend time with your baby during the day. This gives you the freedom to go on local outings. When you’re adjusting to your new schedule and life with your baby, keep your errands short and close to home. Long drives and involved activities are tough at first. Instead visit the park, a nearby play area or take your baby on a play date. Go places nearby so you’re able to return home quickly if needed. I’ll be honest, working from home is hard. While I certainly don’t regret my telecommuting days, it also had its drawbacks. My job and personality made a flexible schedule possible, but working from home isn’t for everyone, nor does it suit every situation or career field. When you’re on the computer, you’re wondering how your baby is faring. Then when you’re hanging out with your baby at the park, you check your phone email only to find that you have to make your way back home ten minutes after arriving to address an issue at work. You feel guilty because you’re stuck home waiting for an email to come in and can’t take your baby out even though the sun is shining brightly. Or you want to focus on time-intensive projects but instead have to do the more tedious tasks while your baby is awake. You’re also on-call, whether it’s with work or your baby. The days I took time off from work were markedly different from the days when I would work from home, despite being in the same location and baby. It was freeing not having to juggle both work and baby at the same time. Still, if your heart is set on working from home with a new baby, finding a path is totally possible. Focus on maximizing your work results instead of hours worked. Schedule tasks when you find pockets of uninterrupted time, and learn everything you can about productivity. When work calls, schedule meetings carefully. Keep emergency entertainment on hand for those moments when you need to focus while your baby is awake. Enjoy time with your baby by getting out and running errands, but stay close to home in case you need to return to work. I also want to end with this important tip: don’t let one stress the other. Don’t get impatient with your baby because work is piling on the pressure. At the same time, remind yourself it’s okay to dedicate a weekend morning to work because doing so allowed you to be with your baby the day before. Hopefully you’ll find an arrangement that fits your needs. Balancing working from home with a baby is possible—even if you’re in the middle of a project and hear the dreaded cry from the nursery signaling nap time is over. Tell me in the comments: What are your top tips on working from home with a baby? This is a very helpful article for parents that is very busy with work but want to manage their time with their baby. Thank you for sharing it with us. I’m glad the article came in handy, Scarlett!